This demo demonstrates clipboard support. 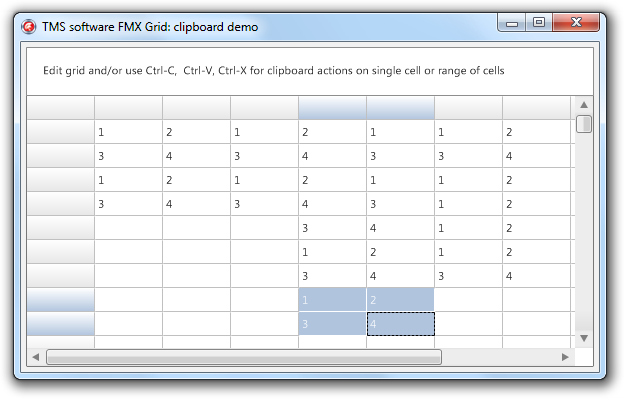 The Cut, Copy and Paste actions are integrated in the grid with the common known keyboard shortcuts. There are additional properties that can be set when pasting the data, such as disabling overwriting readonly cells, automatically appending columns and rows when necessary. All these options can be found under grid.options.Clipboard. These clipboard actions can also be done programmatically.